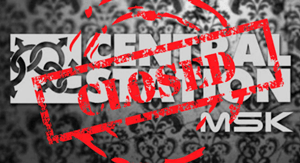 Central Station, the largest gay nightclub in Moscow has been shut down. The Village reports that the Moscow Arbitration Court has issued a resolution demanding the club to vacate the premises. This comes after years of battling with it’s landlord and experiencing a series of hate attacks late last year. In November, 2013 the club CEO Andrei Lischinsky accused the landlord company of an attempt to force the club out of the building despite the agreement under which the Central Station may occupy the premises until 2017. Afterwards the attacks began on the club. “The purpose of all these actions is to intimidate the Central Station clientele. This can be called both raiding and extremism”, said Andrei Lischinsky then. I am resigning from my job as CEO of the Central Station club on February 1, 2014. Tired of fighting with the “windmills”. It has been 3 years of unforgettable work in the biggest gay club in the country, a lot has been passed through: the attack of the local prosecutor’s office, and burning my car down , and the fight against the raiders… It was one of the most interesting experiences of my work in the best club in its [market] segment. The Central Station’s co-owner Ilja Abaturov has also confirmed the closure.